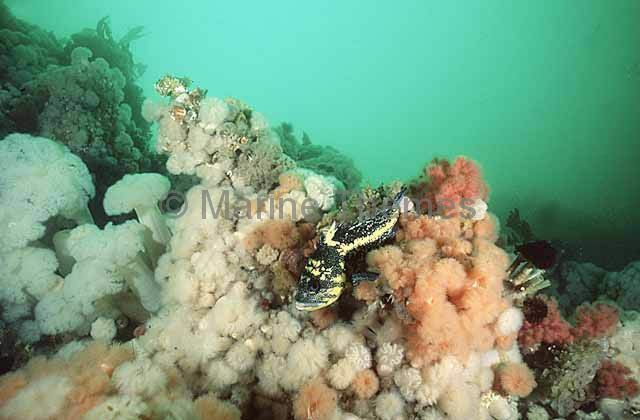 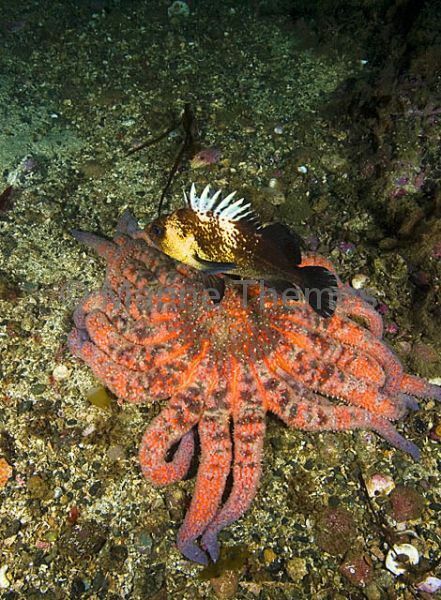 China Rockfish (Sebastes nebulosus) among Plumose Anemones. 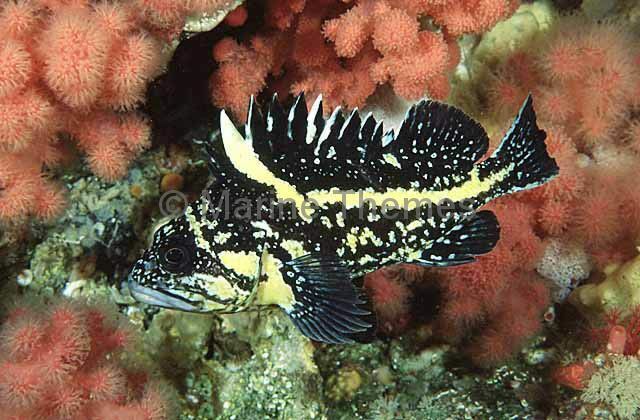 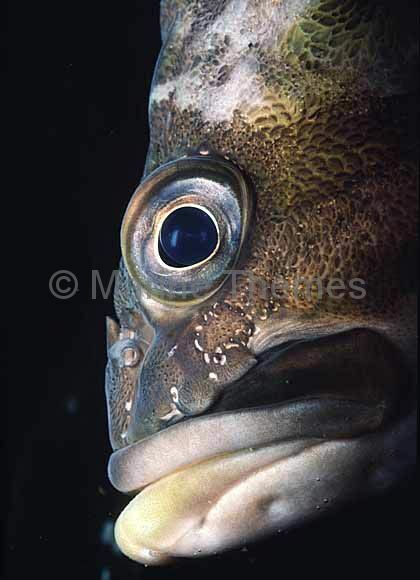 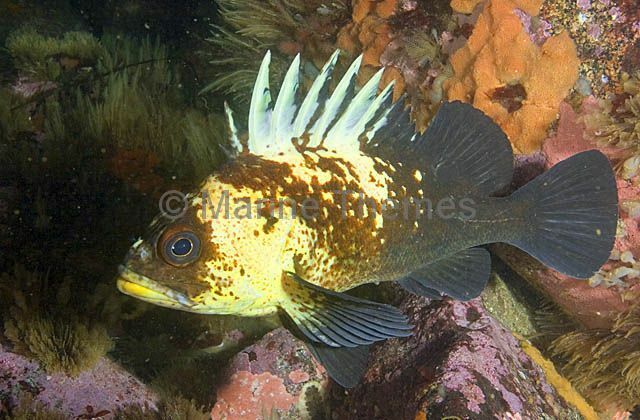 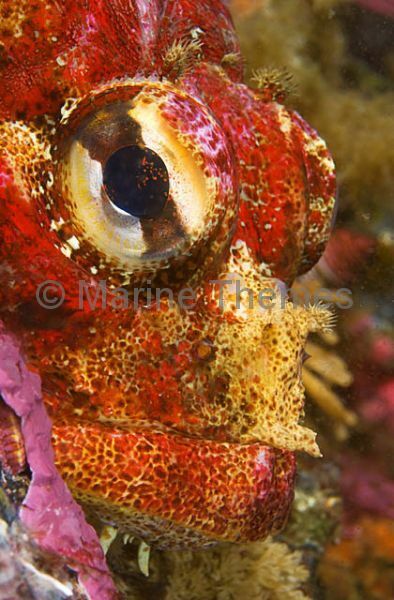 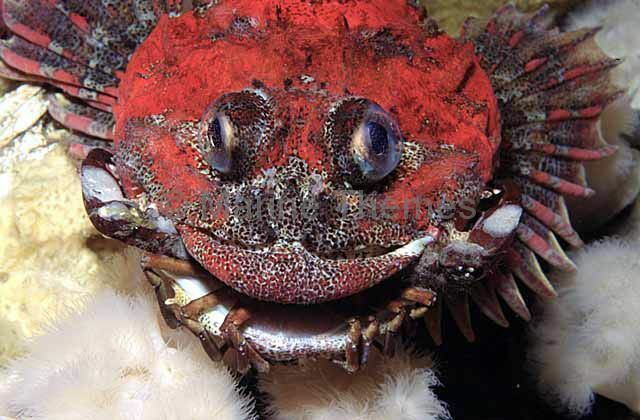 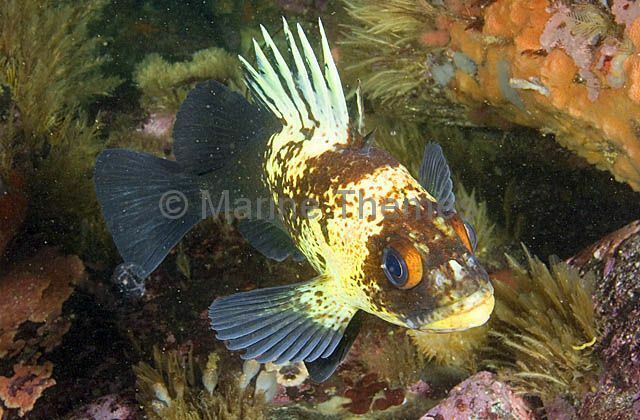 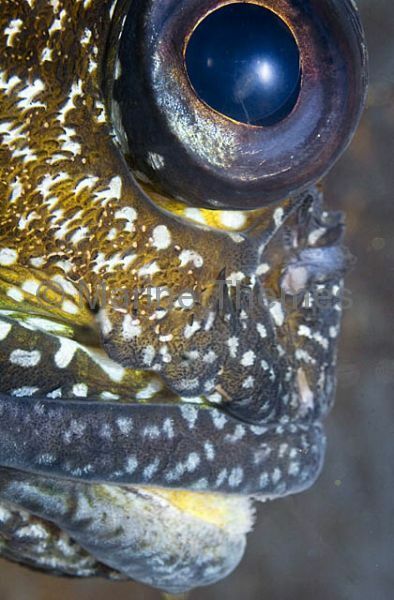 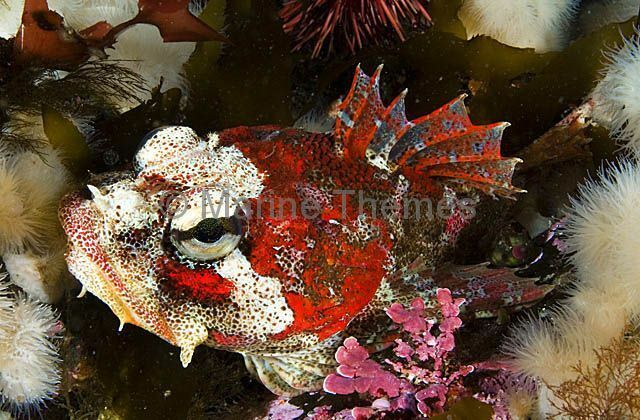 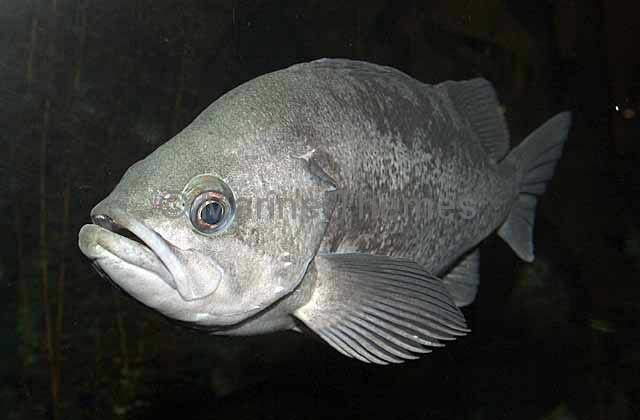 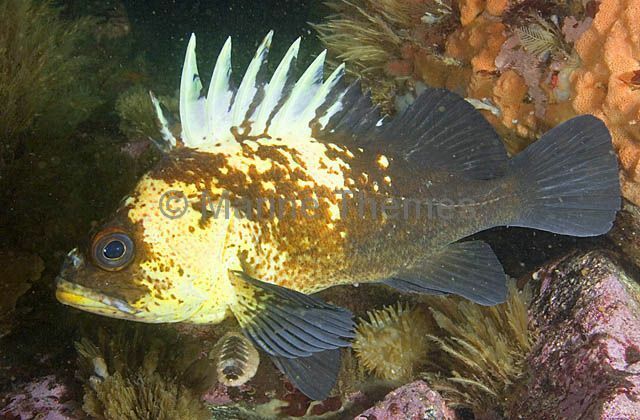 China Rockfish (Sebastes nebulosus) portrait. 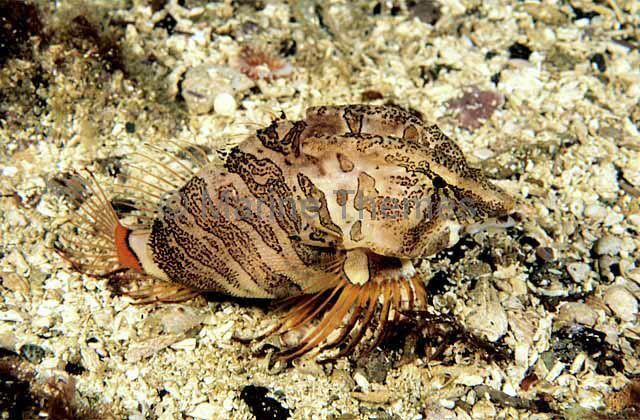 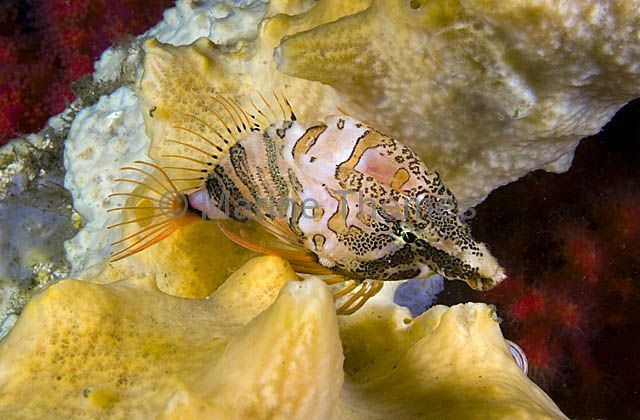 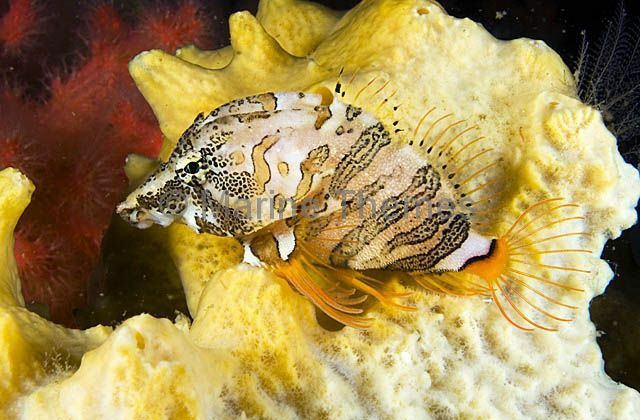 Grunt Sculpin (Rhamphocottus richarsoni) propped on sponge. 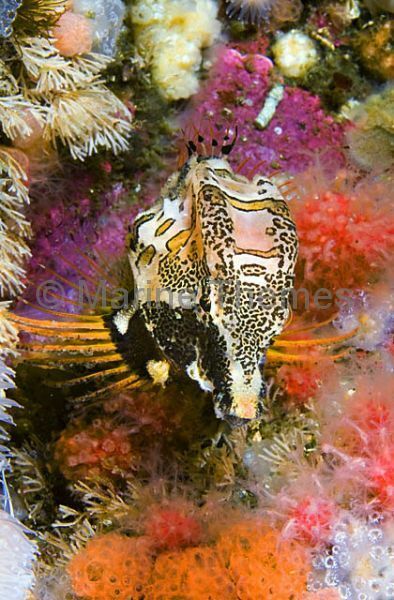 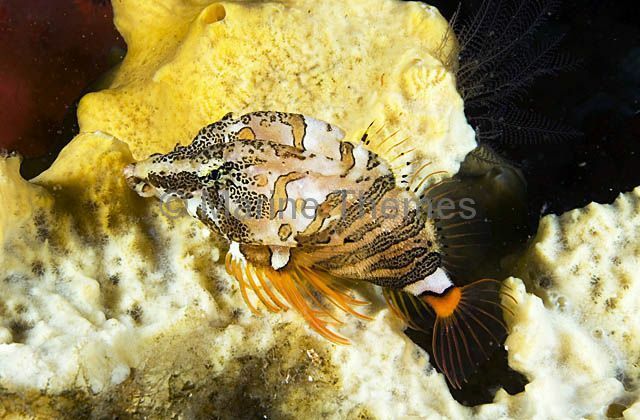 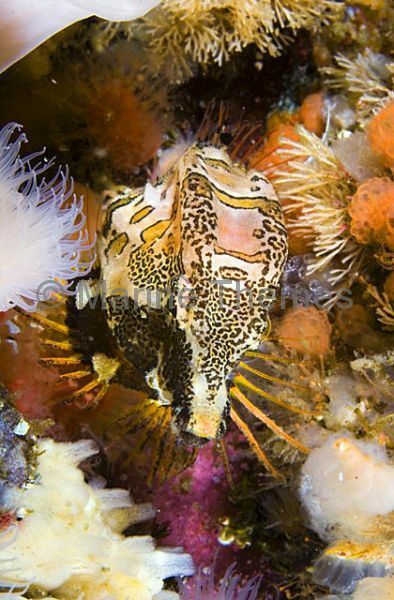 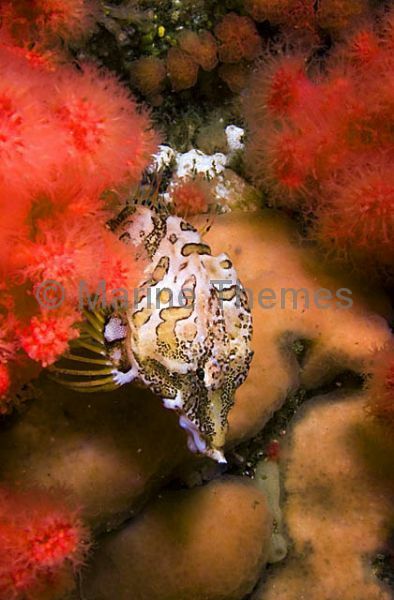 Grunt Sculpin (Rhamphocottus richarsoni) propped among soft corals on deep reef wall. 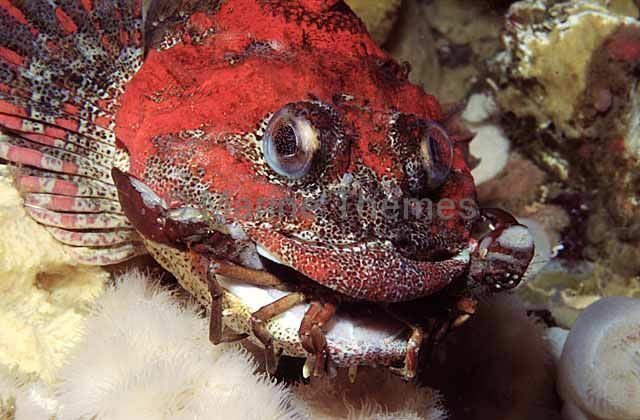 Red Irish Lord (Hemilepidotus hemilepidotus) eating crab.